Not every home is ideal for wifi. Many need multiple access points due to size, bad location of the cable modem, etc. Netgear has a simple system that is very easy to install that can use your electric outlets to extend where a second wifi access point can be. This prevents you from needing to install network wiring and the mess and expertise involved with traditional wired ethernet networks. I don’t like range extenders as much because they have to create an additional named wifi network to function and their range is limited because they still have to be within good range of the original wifi, thus reducing the distance that they can actually extend the original network. The Netgear XWNB5201 kit uses the power lines in your home to connect to the router as opposed to being dependent on the weak wifi that you are trying to extend. Not all home electrical systems in homes work well with this kit, so your results may vary. 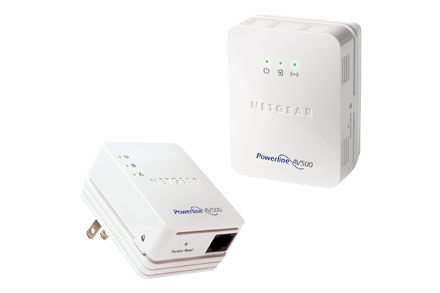 Netgear does include a simple utility that helps configure the adapters as well as reveal the speed it is able to attain as you have them connected. For about $80 it’s not a bad way to get better internet access throughout your home without getting your hands dirty. For a more complete review, please follow this link. To purchase or see more details, this Amazon link should help.